Don Ross, left, a retiree from Armstrong (now Interface Solutions) was a recent guest at Fulton's Sunrise Rotary Club. Don told about the long history of Interface beginning in 1860 as Armstrong Cork Co. The Company was first a Cork facility, then went into Linoleum and in the 1980's became a Gasket facility. Shortly after that, the company became known as Interface Solutions. 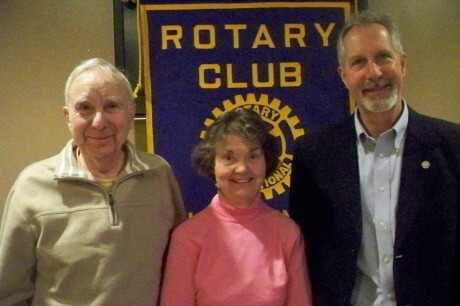 Pictured with Ross is his wife, Mary Ellen, and Rotarian Ed Garrow. 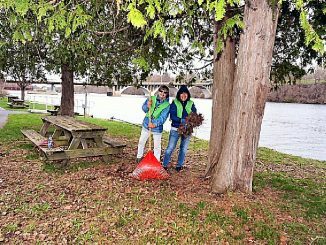 The Fulton Sunrise Rotary meets every Friday at 7 AM at Fulton's Riverside Inn.